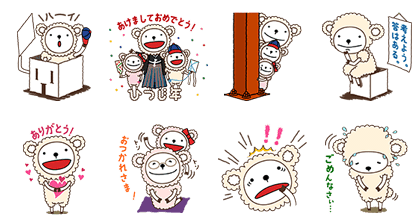 http://www.line-stickers.com/ – Ram-kun Line Sticker | Ram-kun, the star of the recent Hebel Haus commercials debuts in a new sticker set! 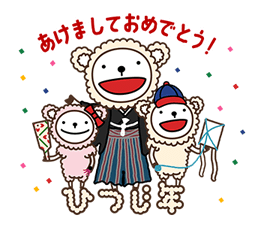 2015 is the year of the sheep and Ram-kun is here to celebrate! His sheepish expressions will cutify your chats! Available till January 12, 2015.